The Wisconsin case is not the Supreme Court’s first foray into partisan gerrymandering. When the Supreme Court tackled the issue 13 years ago, in a challenge to Pennsylvania’s redistricting plan, the justices were deeply divided. Four justices – Justice Antonin Scalia, joined by then-Chief Justice William Rehnquist and Justices Sandra Day O’Connor and Clarence Thomas – agreed in Vieth v. Jubelirer that courts should never review partisan-gerrymandering claims, because it is too hard to come up with a manageable test to determine when politics plays too influential a role in redistricting. 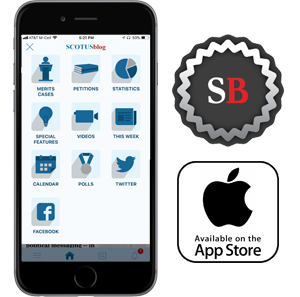 Four other justices – Justices John Paul Stevens, Ruth Bader Ginsburg, David Souter and Stephen Breyer – disagreed; they would have allowed courts to review partisan-gerrymandering claims. The key vote in the case came (as it so often does) from Justice Anthony Kennedy, who agreed that the Supreme Court should stay out of the Pennsylvania case but left open the door for courts to have a role in reviewing partisan-gerrymandering cases in the future if a workable standard could be found. 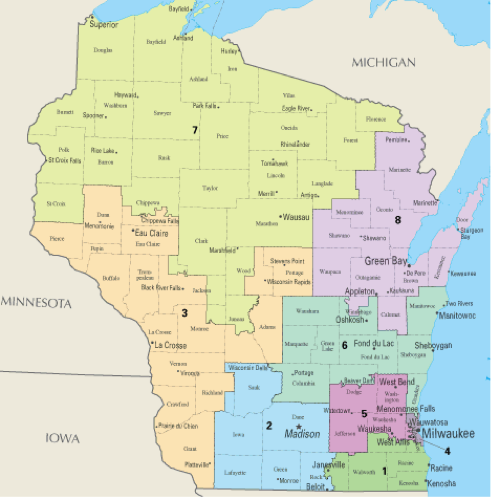 Over several decades, federal courts – rather than the Wisconsin legislature – drew the state’s redistricting maps, after politicians could not agree on a plan. But in 2010, Republicans won control of both houses of the state legislature and the governor’s office, which led to the legislature, instead of the courts, redrawing the maps after the 2010 census. Republicans fared well in the two elections that followed: In 2012, they won 48.6% of the statewide vote, giving them 60 seats in the state’s 99-seat assembly, while in 2014 they won 52% of the vote, giving them 63 seats. By contrast, in 2012, Democrats won 51.4% of the vote but secured 39 seats, while in 2014 they won approximately 48% of the vote, which gave them 36 seats. A group of challengers, led by retired law professor William Whitford, went to court to oppose the new redistricting plan as an unconstitutional partisan gerrymander. They argued that the legislature had created a plan that was intended to dilute Democratic votes across the state, using two methods: “cracking,” which divides up supporters of one party among different districts so that they do not form a majority in any of them; and “packing,” which puts large numbers of a party’s supporters in relatively few districts, where they win by large margins. Urging the justices to reverse the district court’s ruling, the state of Wisconsin emphasizes that partisan gerrymandering is both a longstanding and common practice. Moreover, it continues, the 2010 map does not violate the Constitution because politics was only one of several factors that the legislature considered in drafting a map that “complies with traditional redistricting principles.” It goes on to point out that the 2010 map is not significantly different from the map drawn by a federal court in 2002, under which Republicans won 53.5% of the statewide vote, giving them 60 seats in the assembly. Allowing claims by plaintiffs like Whitford to go forward would also create an “unthinkable and perverse loophole,” the state tells the justices, by permitting statewide partisan-gerrymandering challenges even though the Supreme Court has ruled that plaintiffs in racial-gerrymandering cases can only challenge their own districts, rather than statewide maps. Given the close correlation between race and party affiliation, the state suggests, allowing statewide challenges based on partisan gerrymandering would almost certainly prompt plaintiffs to bring their racial-gerrymandering cases as partisan challenges. First, they note, the district court looked at whether the 2010 map reflects an intent by Republicans to discriminate against Democrats. Pointing to the court’s earlier partisan-gerrymandering cases that specifically refer to the map drafters’ intent, they argue that the Supreme Court itself has indicated that the intent inquiry is a manageable one that can be applied consistently. The third prong in the district court’s test – whether there is a “legitimate justification” for the map – is, the challengers contend, “drawn directly” from the Supreme Court’s cases involving the “one-person, one-vote” doctrine – the principle that legislative districts should contain roughly equal populations. Experience demonstrates that this prong is workable, the challengers add, because it has been used in “one-person, one-vote” cases for 50 years; the “legitimate justification” test has also been suggested by “several” justices in the court’s partisan-gerrymandering cases. 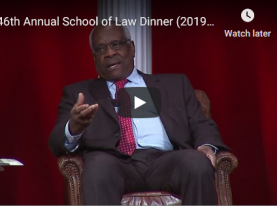 Only four of the current justices – Justices Anthony Kennedy, Clarence Thomas, Ruth Bader Ginsburg and Stephen Breyer – were on the court in 2004, when the justices declined to act in Vieth. And three of the current justices – Justices Sonia Sotomayor, Elena Kagan and Neil Gorsuch – had not yet joined the court when it decided LULAC in 2006. We may be able to discern at least a hint of those three justices’ views on this case from an order that the court issued the same day that it announced that it would review the case: The justices granted the state’s request to block an order by the lower court that would have required the state legislature to create a new redistricting plan by the fall. The state had argued that it should not have to spend time and money creating a new map until the Supreme Court can rule on the validity of the old plan; at a minimum, the state claimed, the court’s eventual opinion will provide “significant guidance” for the state to use in drafting a new redistricting plan. Ginsburg, Breyer, Sotomayor and Kagan indicated that they would have denied the state’s request, but the state’s ability to muster the five votes that it needed to put the lower court’s order on hold could bode poorly for the challengers, because one factor that the justices had to consider in making their decision was whether the state is likely to succeed on the merits of its claim. On the other hand, the case appears to have been scheduled for oral argument earlier than it might normally have been: Although the justices did not announce until June 19 that they would review Gill v. Whitford, it leapfrogged over several other cases (including two granted in February, two granted in March and one granted in April) to take a spot on the October argument calendar. That could suggest that the justices intend to try to decide the case quickly, which would in turn allow new maps to be drawn sooner even if the district court’s order is not in effect. We will likely know more after the justices hear oral argument in early October.